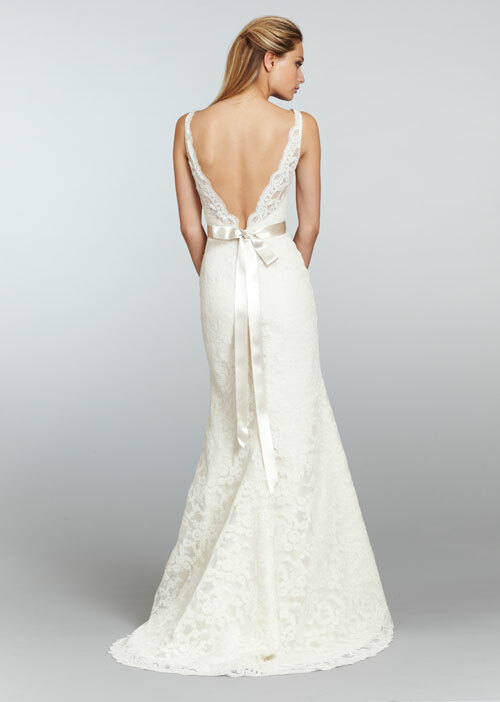 With the same clean lines and elegant yet chic details, the Tara Keely by Lazaro Spring 2013 bridal runway collection was breathtaking as usual. Models in luxurious silks, crepes, satins and chiffons floated down the runway as we tried our best to pick our favorite gowns from the collection. It was a hard task, and we found ourselves whispering “love that one!” and “ooohing,” as each model came out in a new and more fabulous wedding gown. Alas, someone has to do the dirty work and we were somehow able to narrow it down to the best of the best of this gorgeous collection. Here is a little taste of what we saw at the show and what you’ll see in our stores this Spring!